What if you’re working with the band and the tune is kicking and you’re feeling it. The vamp comes, they’ve done their thing and it’s time for you to solo and soar. All eyes are on you. Can you bring an ‘A’ game? 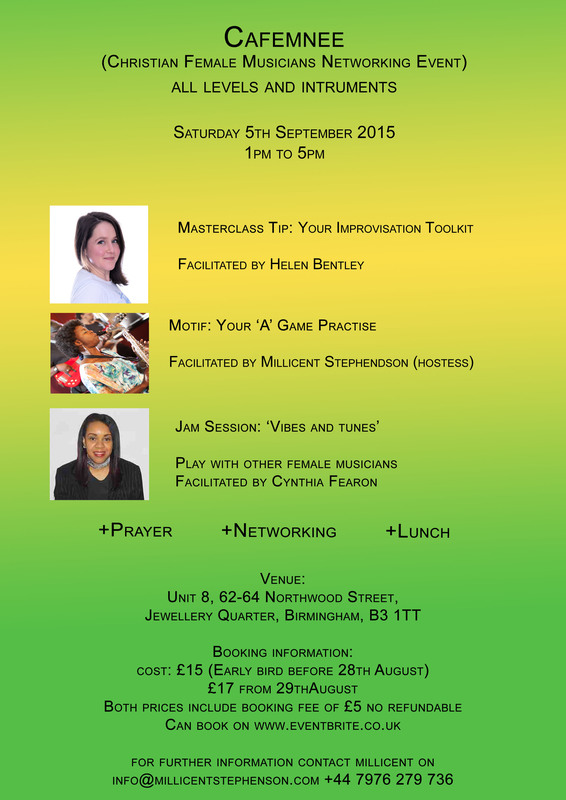 This September CFMNE is going to present Part 1 of ‘How to Bring Your “A’ Game’. Can you afford to miss it? Or email info@millicentstephenson.com for booking form and online bank payment details.